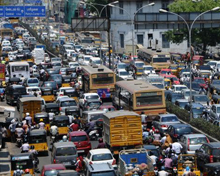 For daily commuters in Chennai, two main topics are of importance to them – city traffic and weather – as they directly affect their lifestyle with ramifications on peaceful living. But the statistics on road accidents and fatalities only point to the need to take urgent action by the government to streamline the vehicular movement and penalise the road violators to ensure orderliness on city roads and highways. 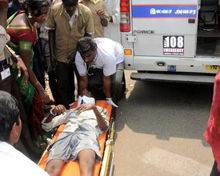 As many as 15,190 persons were killed in road accidents in 2014, a marginal decrease of 3% from 15,563 in the previous year for Tamil Nadu, says the statistics of the state transport department. However, the number of accidents in the state rose by 2% to touch 67,250 for 2014 as compared to the previous year, thus making the state top the charts of National Crime Records Bureau for 10 years in a row. What is more alarming is that in TN, driver's fault is the main reason for fatal accidents. In 2014, the negligence of drivers had resulted in 14,203 deaths on state roads. While the transport department claims to have taken strong action against drunk driving and over speeding, the situation of the roads does not inspire confidence. Apart from driver's fault, bad condition of roads and inclement weather had caused the deaths of 27 and 13 people respectively in 2014. 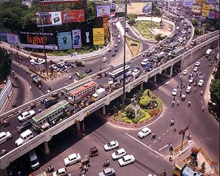 A watchdog and policy making body called State Road Safety Council has been formed under the provisions of Motor Vehicles Act, 1988 and the transport minister presides over this council along with 18 other members. Once in three months, the council meets to review policies related to road safety and recommends to the government on the implementation process. 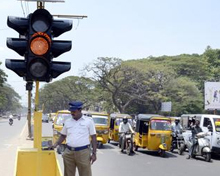 A new system called road accident data management system (RADMS) has been evolved under the TN Road Sector Project with the assistance of World Bank. This is a geographical information system (GIS) based on a software programme for recording accidents, road mishaps, the data storage, analysis and further dissemination. RADMS functions with the help of the satellite-based GIS system and internet-based accessing system. The objective of RADMS is to collect and analyse the overall data related to road accidents that will help to take steps required to improve the road safety, plan urgent measures and further tighten the enforcement by police and transport officials. The three stakeholders -- police, transport and highways – usually make the entries in the Accident Report Form (ARF) and these data are being shared by the departments immediately after their occurrences. A the end of March 2014, there are a total of 188.09 lakh vehicles in the state comprising 11.36 lakh transport vehicles (public utility vehicles and those carrying passengers and cargoes) and 176.73 lakh non-transport vehicles -- personal vehicles like cars, SUVs and two-wheelers -- plying in the state. Transport vehicles constitute 6.03% and non-Transport vehicles form 93.97% of the total vehicular population in the state. The Two wheeler vehicle population is 155.95 lakh which is 82.92% of the vehicle population.